The Huntingdon Floor Lamp by Heathfield & Co is presented in nickel silver and chrome to create a contemporary design that exudes sophistication. This versatile lamp has a distinct minimal form and modern finish. 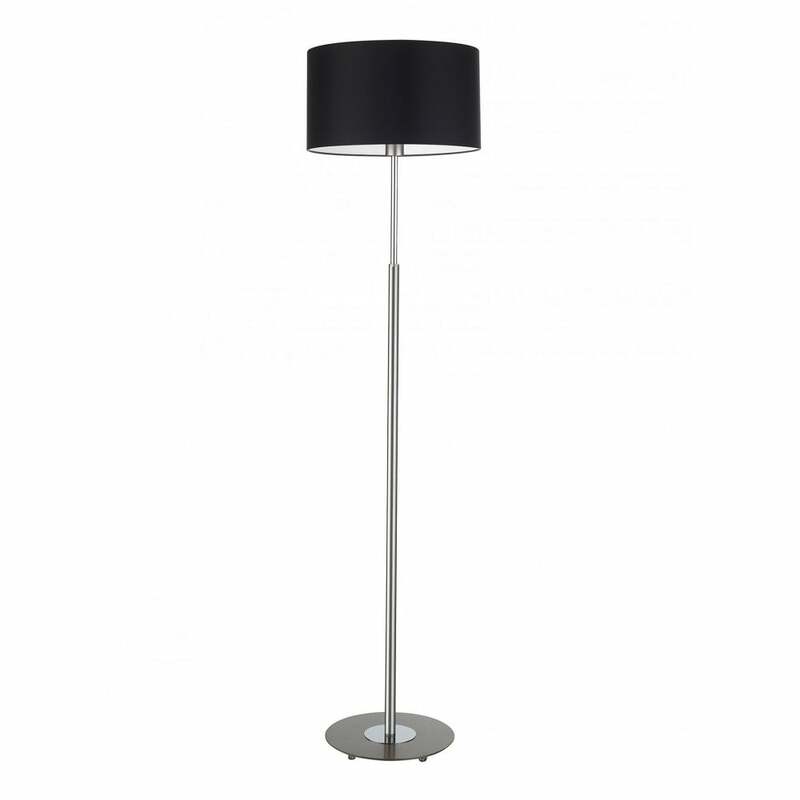 The tall and elegant stem stands on a weighted circular base and is completed with an exquisite black satin shade. Crafted from the highest quality materials, style with geometric prints and Art Deco accents for a luxe look that has endless designer appeal. The Huntingdon range also includes table lamp and wall light options. Priced for 16” Flat Drum shade with silk outer and white pvc lining. Other options available.